George Stephanopoulos: I want to go to Brian Ross here, because Brian you’ve been looking at… investigating the background of Jim Holmes here and you’ve found something that might be significant. Brian Ross: There is a Jim Holmes of Aurora, Colorado, uh, page, uh, on the Colorado Tea Party site, as well, talking about him joining the Tea Party, uh, last year. Now we don’t know if this is the same Jim Holmes, but it’s Jim Holmes of Aurora, Colorado. George Stephanopoulos: Well, okay, we’ll keep looking at that. Brian Ross, thank you very much. 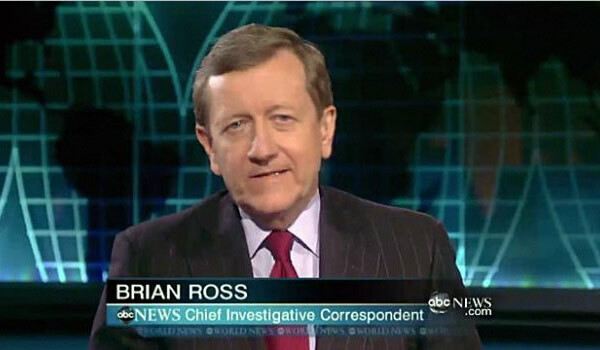 Now, bear in mind that Brian Ross is ABC’s Chief Investigative Reporter. He’s not exactly a new hire at the network. Many people are calling for Ross’ firing for implicating an innocent man and putting his life in jeopardy, as the hispanic Holmes (the shooter was white) received so many death threats from insane ABC viewers that he had to disconnect his phone and is still in genuine fear for his life. But that is not likely to be enough for ABC. The fact that their Chief Investigative Reporter’s first thought was to start skimming through local Tea Party web sites is proof enough of their extreme bias. They simply will not care if they endanger the life of some random Tea Party member that they view as violent and extremist, anyway. One of ABC’s producers contacted the shooter’s mother in the dead of night and asked her name, and if she was the mother of a James Holmes. She replied “Yes, you have the right person”. She hadn’t even heard of the shooting yet, and the ABC producer knew it. She was clearly referring to herself, telling the producer he had reached the correct person. However, ABC reported that when asked about the shooter, his mother responded “Yes, you have the right person”, and portrayed it as if the mother knew that her son would be prone to such an act as the Aurora massacre. Now, certainly this is not *quite* as offensive to us in the Tea Party as placing an innocent man’s life, one of our own, in danger… but it may be to ABC. 1: Brian Ross decides that flipping through some local Tea Party websites is appropriate and constitutes investigation, obviously hoping for a connection, and jumps to the air with the first possible connection he finds, without actually bothering to confirm if he has the right man. This despite the fact that all of the man’s contact information was listed on his Tea Party page. ABC did not try to contact him, and to my knowledge, still hasn’t… not even to apologize. 2: The man’s life is put in extreme danger by ABC viewers who were likely highly emotional in the immediate aftermath of a tragic massacre. The innocent man receives so many death threats that he has to disconnect his phone and live with the fear that the same crazies who obtained his phone number had obtained his address, as well… putting his family in grave danger. 3: It takes hours for Ross to issue any sort of retraction, and even then it is only a short burst on the air and *gasp*… He TWEETED about it… ONCE! Gee, what a stand-up guy you are, Brian Ross! But none of these things are mortal journalistic sins in the eyes of ABC, and the last I saw, ABC still has Ross covering the Aurora tragedy for the network. Any outfit with an ounce of integrity would have already suspended Ross, and he would be well on his way to being fired. Obviously the things that I listed won’t be enough for ABC. What might be enough is the misrepresentation of the call to the mother and her response. Why..? Because that news was picked up on the wire, and several other networks, trusting in ABC, repeated that information with ABC’s purposefully misleading slant intact. ABC doesn’t care if its reputation with the Tea Party is damaged. Clearly they don’t like us very much. They don’t care if they put our fellow member’s life in danger. They won’t lose any sleep. But the other networks with egg on their face because of ABC are not likely to take them at their word again so quickly. I highly doubt that any network will call them out publicly; they would lose credibility themselves by admitting that they allowed ABC to mislead them. But almost certainly there will be some hot discussions behind the scenes, and some policy changes at the other alphabet and cable networks designed to insulate themselves from ABC’s recklessness. Brian Ross caused ABC to lose face with everyone in the Tea Party, and anyone humane enough to see how wrong it was to link an innocent man to a senseless slaughter, especially while emotions were still running so high. But the standards of “investigation” set by Brian Ross and his production team has led to ABC losing face with all of the other networks, as well. ABC would be foolish to keep Ross in such a prominent position, if they retain him at all.